Rome is a place of culinary dreams. The bread is warm, crusty, and toastable. There is delicious wine in every bar and restaurant. And there is PASTA. Lots of PASTA. 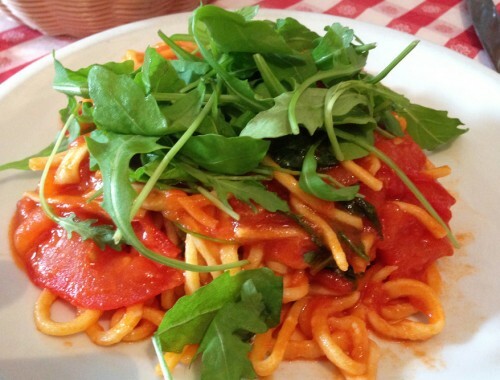 Some of my most favorite Italian dishes are from this city. I couldn’t think of a better place to travel to for an eating fest. Eating through Rome was an absolute dream come true. These are the flavors that I’m still thinking about. 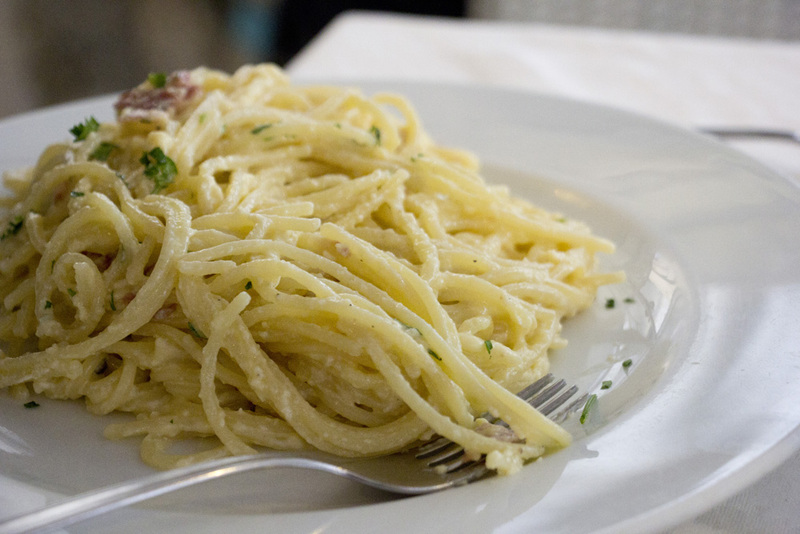 Carbonara is one of Rome’s quintessential dishes. It is simple and decadent but difficult to get right. Guanciale (cured pork cheek) is browned in a pan. This crispy meat is then added to hot cooked pasta (off the heat) along with a mixture of egg, beaten with Pecorino Romano cheese and black pepper. The heat of the pasta alone will cook the egg and create the sauce. So simple, so amazing. It’s usually served with spaghetti but I had it with rigatoni in a few places as well. 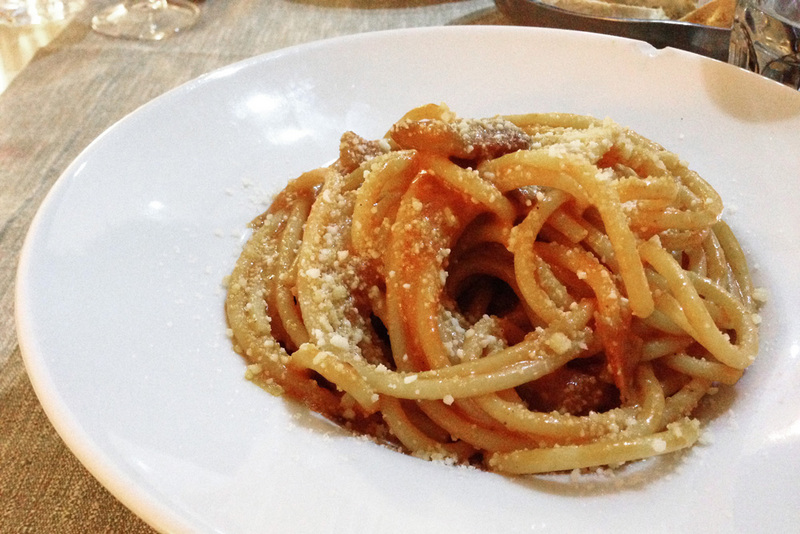 Amatriciana is another traditional Roman dish. This one also includes gunaciale, along with onion, garlic, tomato, red pepper, and Pecorino cheese. You’ll see it most commonly served with bucatini – the long thin pasta that looks like spaghetti but has a hole down the length of the pasta strand. I love bucatini as the sauce gets caught inside and helps each bite get properly sauced. I am an artichoke-a-holic. I had no problem having artichokes with every meal. Sometimes as the filling of ravioli, sometimes fried in the dish Carciofi alla Giudia, sometimes like this. Roman style. My FAVORITE. A Roman-style artichoke is a long stemmed trimmed artichoke heart braised in white wine, lemon juice, garlic, and a very special kind of Roman mint called mentuccia. It’s often served as a side dish or as an antipasti. 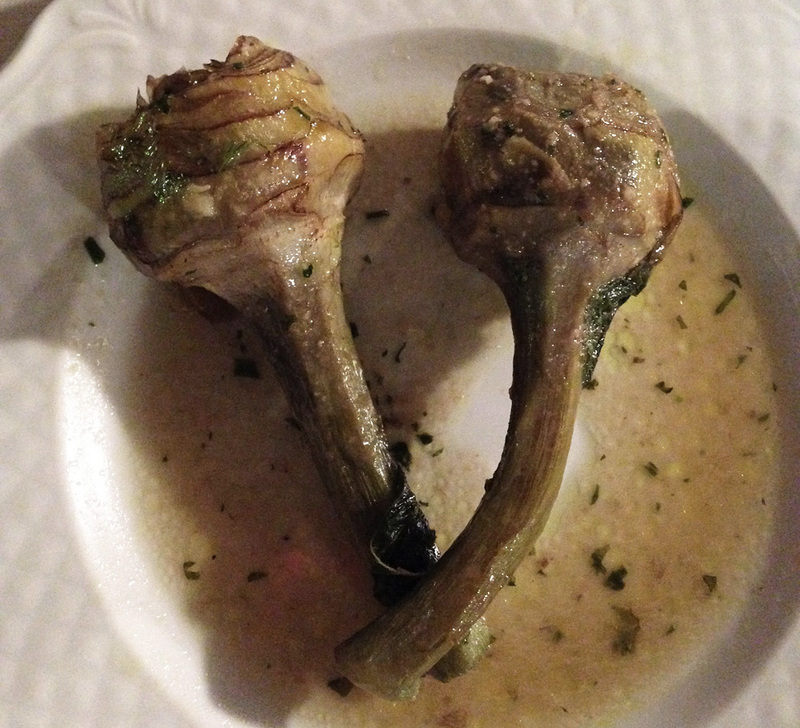 We would order Carciofi all Romana whenever we saw it on the menu because we couldn’t get enough. Artichokes 4 Lyfe. Charcuterie is always a good idea, especially when it involves freshly made Italian Bufala Mozzarella and paper thin Prosciutto. The perfect start to any Roman meal. This was the first thing we ate in Italy on this tirp. 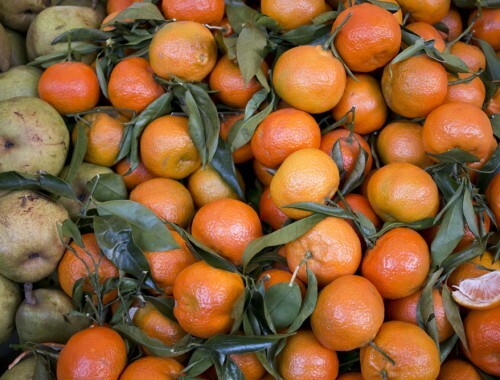 Having just flown in from Morocco, our minds were swirling with excitement at the thought of all things Italian. Pasta. Prosciutto. Pastries. Paninis. At a small cafe in Termini Station, we found a case full of various paninis. 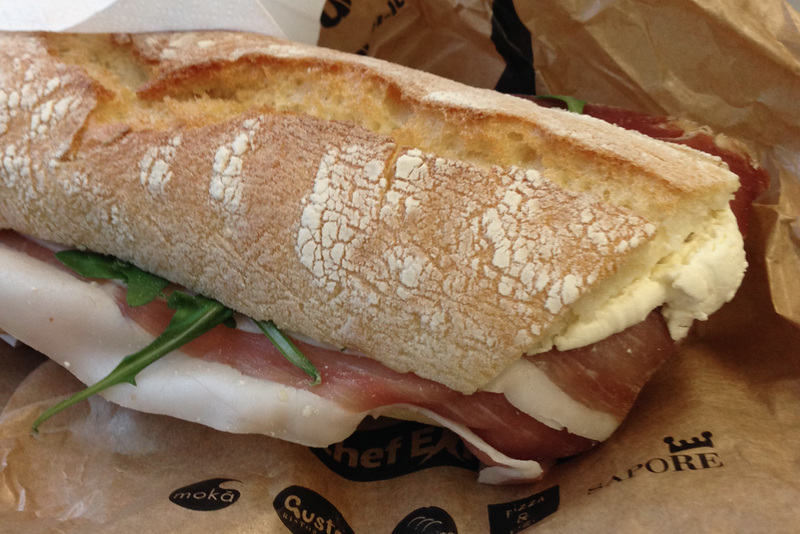 We took our time choosing our first taste of Italy and ended up with a prosciutto, arugula, and fresh ricotta panini on ciabatta. Warmed on the press. Perfection on a train. Truffles are Italian gold. At least to me, anything with truffles in it has a leg up on most other dishes. A little truffle oil or sliced truffle on a pizza is better than normal pizza. A little truffle oil or sliced truffle on a plate of homemade pasta is better than normal homemade pasta. You get the idea. 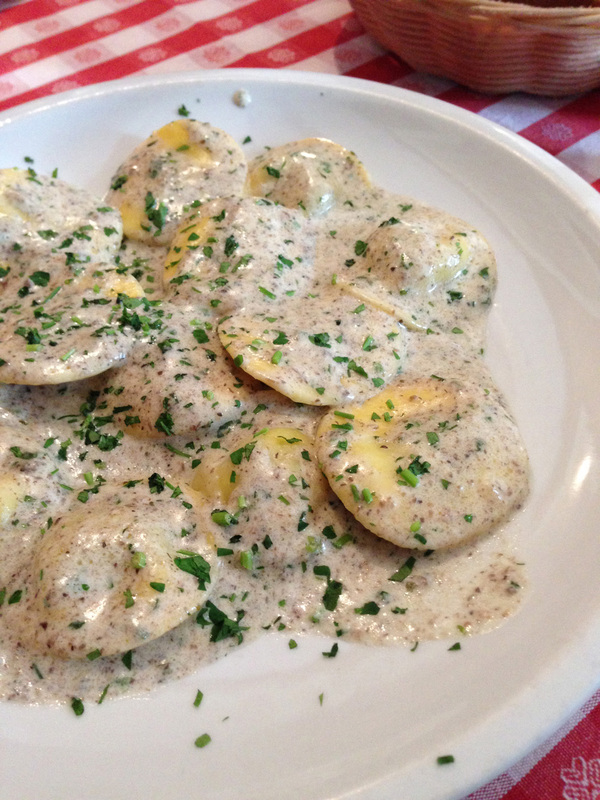 So imagine how awesome it was to eat this plate of artichoke ravioli bathed in truffle cream sauce. Yes, you know already. Where to find it? Trattoria dei Quaranta, Central Rome near the Colosseum. Read more about it here. The simplicity of this dish is what makes it so good. More so than any other dish that I may or may not have deemed “simple” already in this post. Long thin pasta, Pecorino Romano cheese, pepper, and a little dash of pasta water. That’s it. Despite it simplicity, its easy to get it wrong. But when it’s good, it’s unbelievably good. 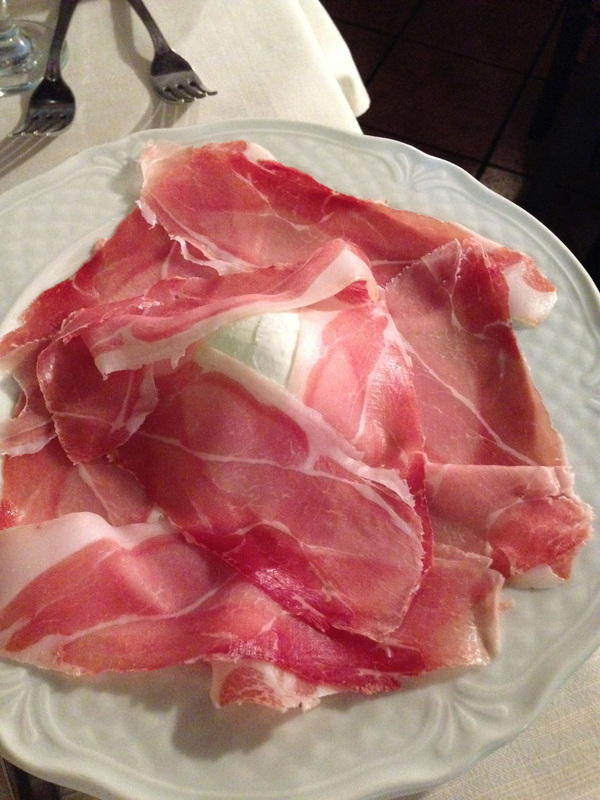 This was hands down, without a doubt, my favorite dish in Rome. And this one in the photograph below was the plate that sealed the deal. Coffee is an institution in Italy. Not only is it infused into almost every facet of life, but there are rules on how it should be enjoyed. And if you break the rules, you will likely be deemed… a tourist. So don’t break the rules. 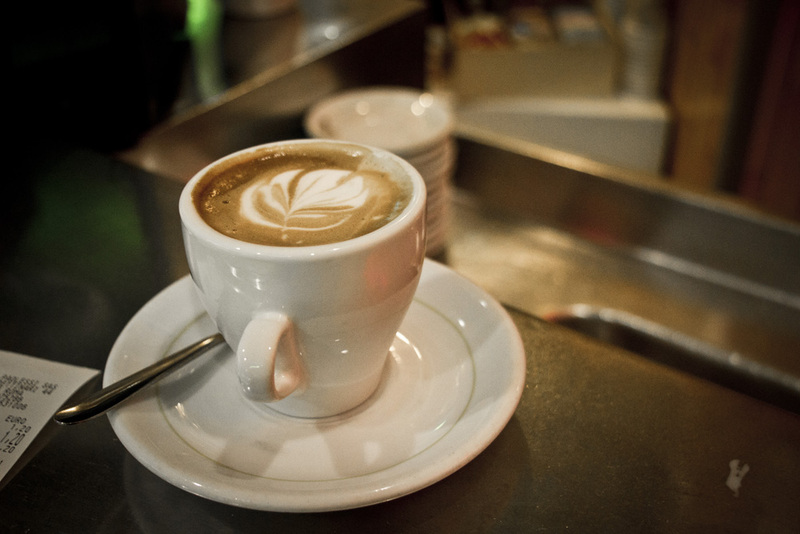 And don’t not drink coffee either – it’s equally weird to Italians to do that as it is to break the rules. – ONLY drink coffee with milk or milk foam in it before 1130am. That is the coffee witching hour. You will not digest your food in the proper way if you break this principle rule. – You must stand and drink your coffee quickly. Coffee is not for lingering in Italy. It is for ordering confidently and downing in a matter of minutes, sans chair, at a bar. – The word “espresso” does not exist. It’s just “caffe.” So don’t order espresso because then you might as well be wearing a baseball hat that says TOURIST on it. 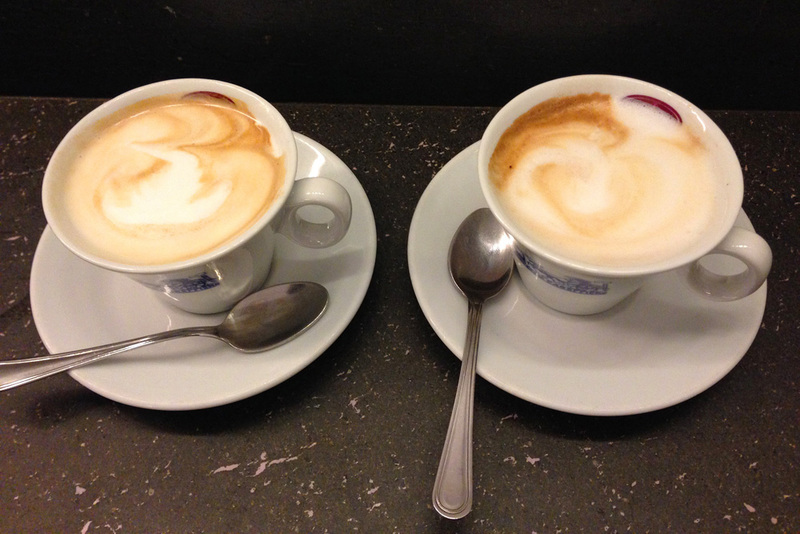 Due cappucino, only in the morning! Caffe – you can have this guy any time of day. Aperitifs are dry or bitter cocktails enjoyed before dinner and are meant to stimulate the appetite. Like a martini or a negroni. The counterpart to the aperitif is the digestif, which is enjoyed after the meal and is generally much sweeter. Like a sambuca or port or brandy. 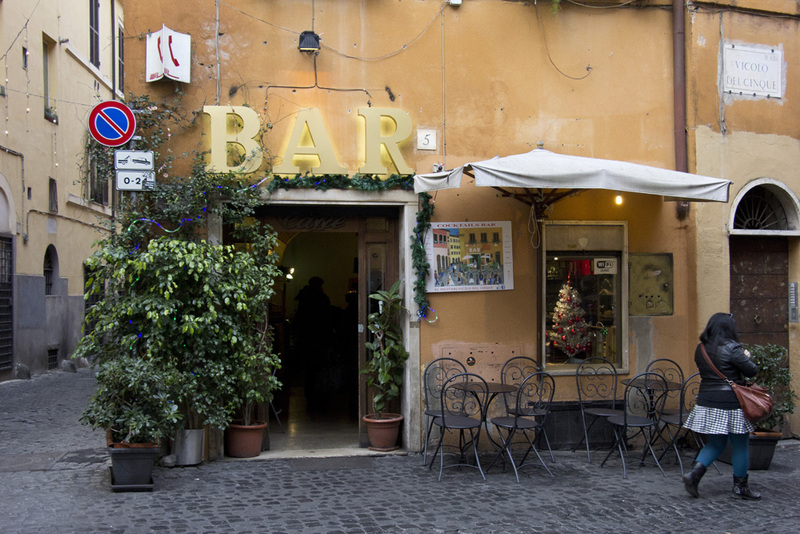 Aperitifs are big time in Italy, especially in Rome. Aperol, a popular aperitif that tastes similar to Campari but far less bitter, is my favorite. I hadn’t tasted it until about two years ago, but since then, we’ve been inseparable. I love it so, even though it’s kinda the color of nuclear waste. 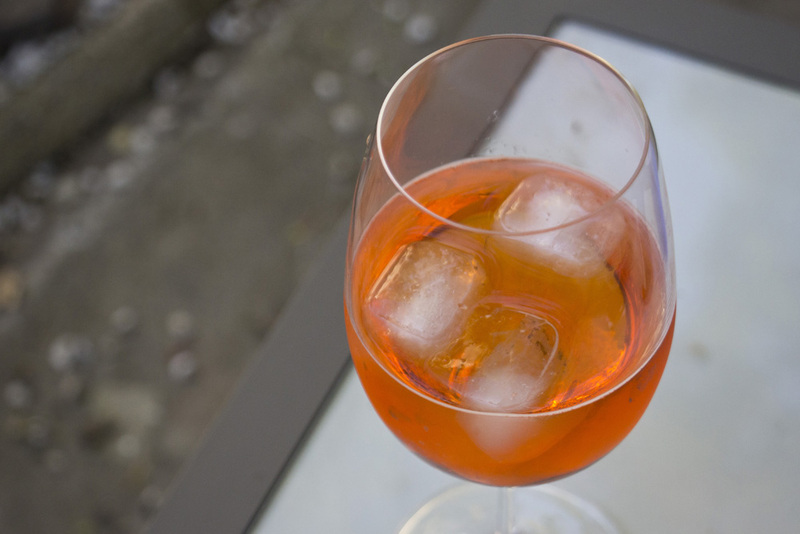 One of the most common Aperol drinks is an Aperol Spritz – prosecco, Aperol, and just a splash of seltzer. Fantastic on a warm evening. And even better at a Roman cafe during sunset. If you go to Italy and you enjoy drinking alcohol, wine should always be a part of the discussion. It is an important part of the culture, the economy, and experience, and the cuisine. I have to say though, Italian wine is not my jam. 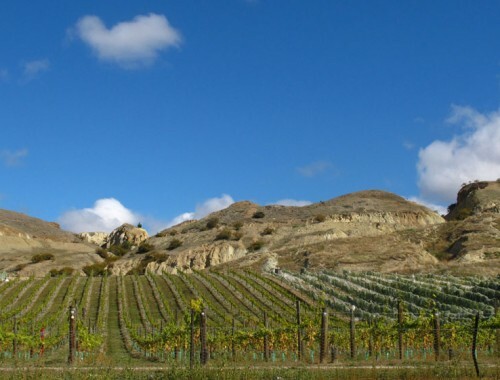 Many of the wines I have tried are far too big and far too intense for me. I’m more of a Pinot Noir/Burgundy/Malbec kinda girl. No offense Italy. 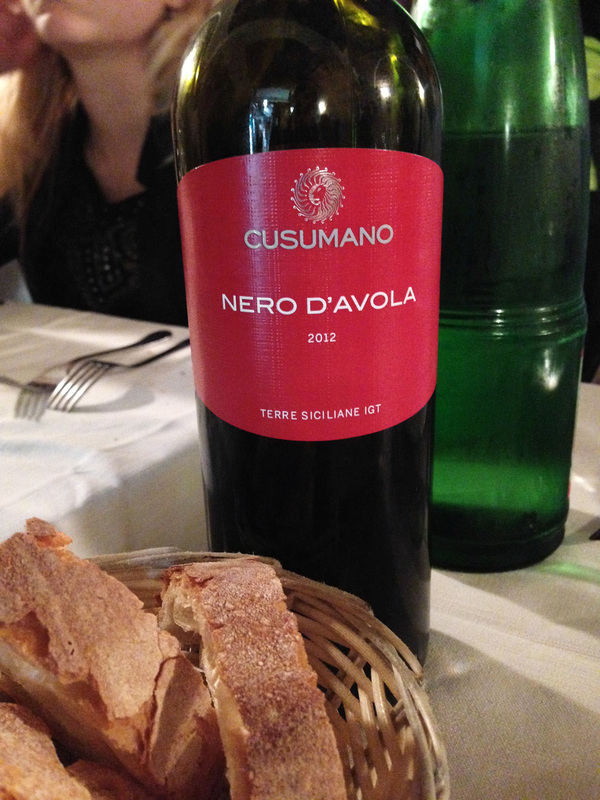 I do enjoy a good Nero D’Avola though, if I’m going Italian. 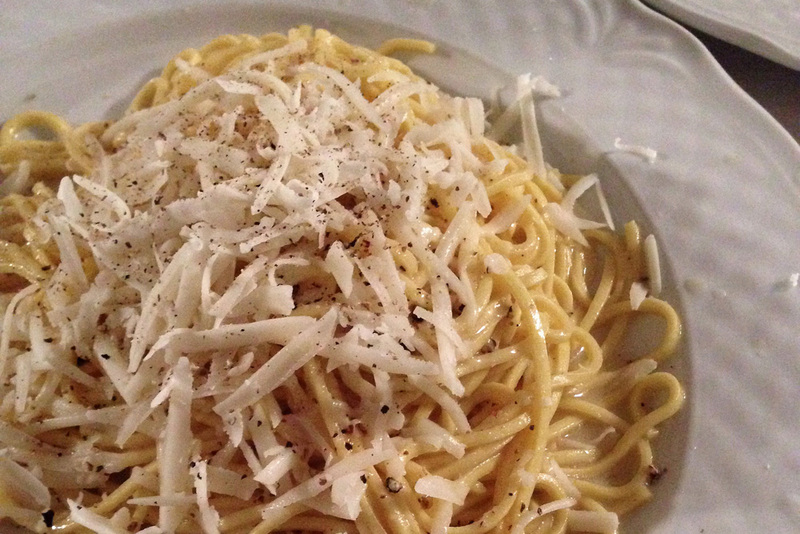 What are your favorite Roman Dishes and drinks? Are you also not a fan of Italian wine?